THE LOWDOWN: Sketchy location and run down setting doesn't keep the locals and those in the know from lining up from 630AM to 3PM everyday for San Diego's best tacos, tamales, burritos, rice and beans. PRICE: Cheap Eats - You can't spend more than $10 per person here if you tried. People waiting in the always there line at San Diego's Las Cuatro Milpas. Nothing fancy, the same as it was when it opened in 1933. Locals love Las Cuatro Milpas. Forget about trendy "street tacos" with tiny morsels that's barely enough for a bite. 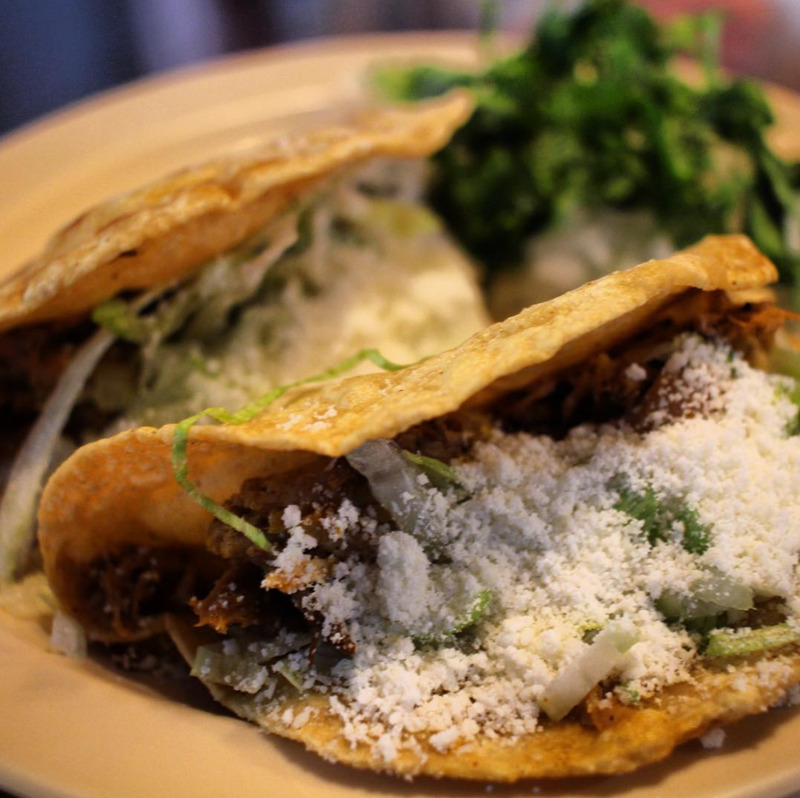 This is Las Cuatro Milpas, San Diego's best Mexican restaurant. OK, sure, it's a bit sketchy. There neighborhood has homeless people on the sidewalk and you're not quite sure what to do when you get to the front of the line but don't worry, I'm here to help you. First, be prepared to wait. Consider yourself lucky if there's no line but there's nearly always a line. Las Cuatro Milpas opens at 630AM and closes at 3. The line moves reasonably fast so just come, don't worry about it. The menu is simple enough. Tacos. Tamales. Burritos. Rice and Beans. Honestly, I'm not even sure you can pick what meat goes in the tacos or tamales. When you get to the front of the line you just tell them what you want and they make it. No questions, no options. Their tacos are deep fried and topped simply with Mexican cheese and some lettuce. The rice and beans are huge portions and served in a bowl. You can easily share one order with the table. They do have a spicy version of the beans with chorizo, I believe, but the standard with some hot sauce is good enough for me. Here is the salsa bar. LOL, while other Mexican restaurants have lots and lots of options Las Cuatro Milpas has one. It's red, it's hot, and it's all they got so take a couple. So order your food and watch them cook it in front of you. Oh yeah, you need CASH. Do not make the rookie mistake of coming here with your American Express and then getting all negative on Yelp when you have to leave without tacos after waiting so long in line. Once they had you the tray of food you can grab some hot sauce and add some onions and cilantro on top. Drinks are all in the can, waters are a buck, no beer, no wine, and NO MARGARITAS. This isn't a theme restaurant. There are no pinatas or ironic black velvet portraits of Elvis. It's ain't that sort of joint. Once you have your food I like to head to the back where they are making tortillas. There's another dining area around the corner but that's my favorite table right there. Oh, and every order comes with homemade tortillas! You know those tortillas you get at the supermarket? Not even close to how good these are. TIP: Bring a cooler as if you are like me you will have leftovers. They have to-go boxes near the cash register you can grab. SUMMARY: If you love Mexican food you need to come here. If you're a local and you haven't been here yet then do it this weekend. And if you're a tourist do not make the mistake of only eating Americanized Mexican food in Old Town or upscale tacos in upscale restaurants - come here for a taste of the real deal at Las Cuatro Milpas.